Like I mentioned in a previous post, there is nothing like the aroma of freshly brewed Cuban coffee. 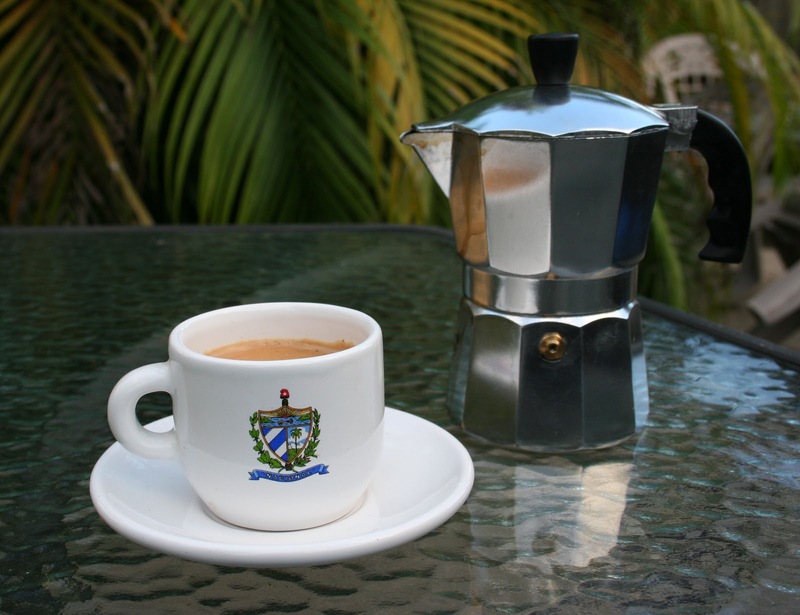 Well, it is actually Cuban style coffee brewed in an Italian Espresso maker in the good old USA. becomes a "cortadito". Either way enjoy!! Fill with water up to the brass valve. on medium to high heat on stove. This particular size espresso maker is for 3 cups. Add three teaspoons of sugar in a separate cup or mug. When the first drops of coffee are brewed pour into cup with sugar. Stir vigorously with the spoon to create a thick froth. with froth and stir well. Serve while hot!